The Pivot-Hinged Barriers are floodgates that can perfectly suit industries, where chemical spills are always a threat. 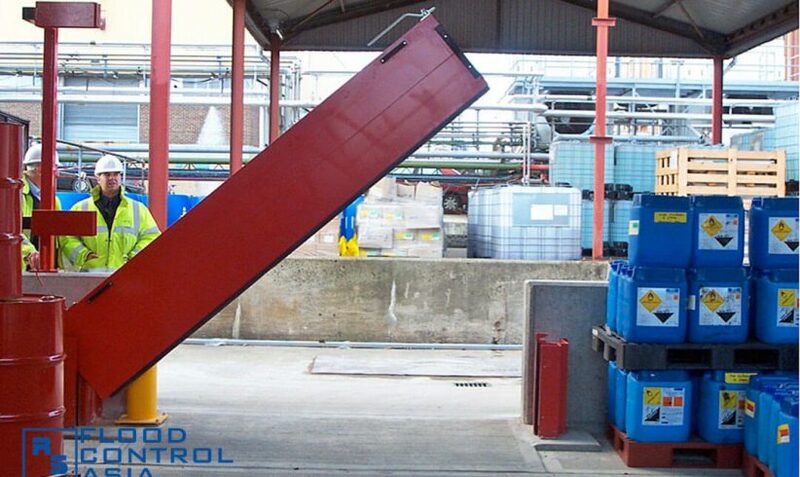 These floodgates are alternatively called “containment barriers”, for they are made specifically for the purpose of securing areas affected by chemical spills. When not in use, the Pivot-Hinged Barrier can be set up in a “standing position” to prevent any damage on the rubber seals. Putting the containment barriers on a “standing position” does not simply protect the rubber seals from damages. It also allows unrestricted access to the site. 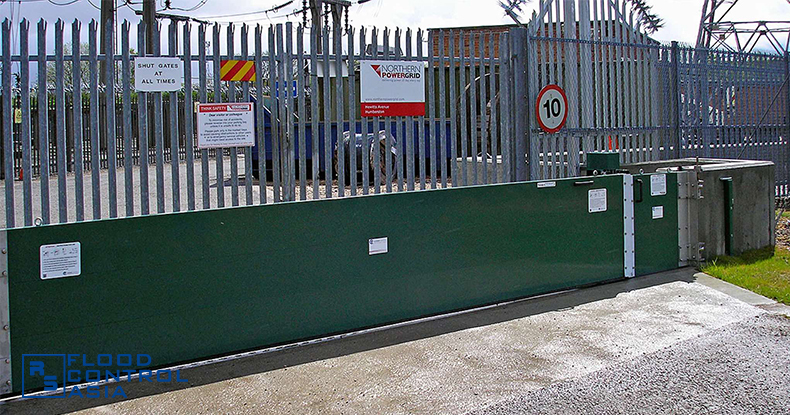 Pivot-Hinged Barriers can be operated manually or electronically through sensors. 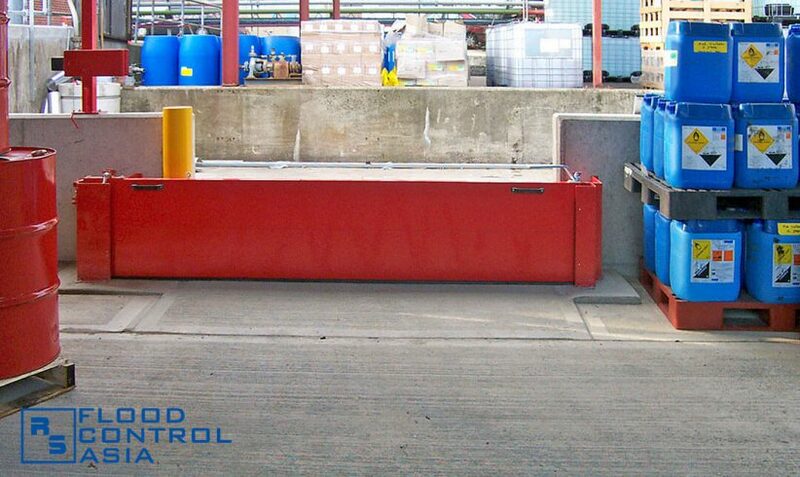 Pivot-Hinged Barriers can effectively isolate areas affected by chemical spills. 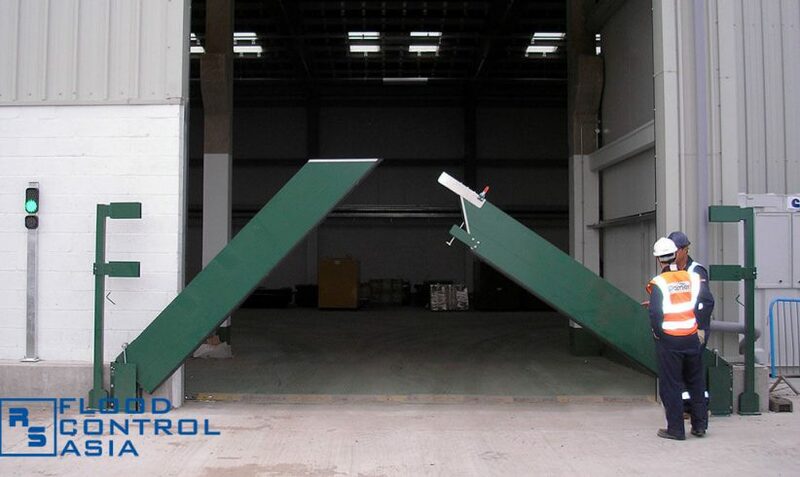 Pivot-Hinged Barriers can be installed with two leaves, especially on areas with wider openings. 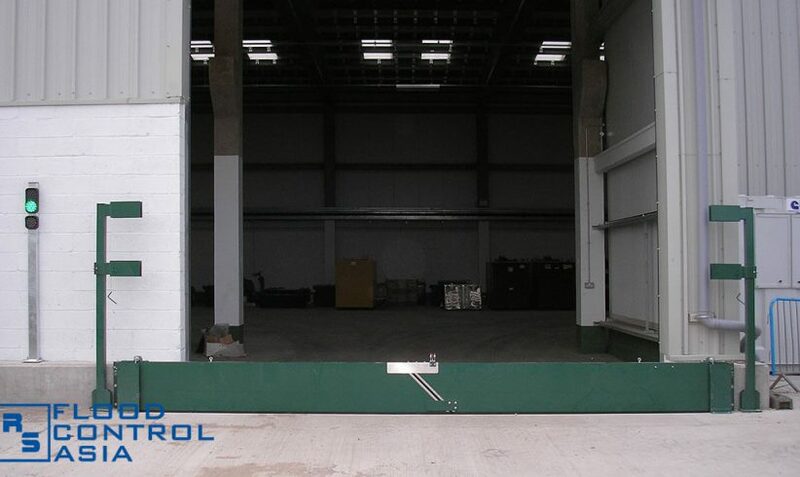 Pivot-Hinged Barriers are best for warehouses and factories with large entrances. This innovative floodgate does not require modification of ground surface; thus, allowing unhampered pedestrian and vehicular passage. As a quick solution for flooding, they are lightweight and easy to manipulate in spite of their length and width. It also works as a domestic floodgate, with an optimal condition that can last up to 50 years. 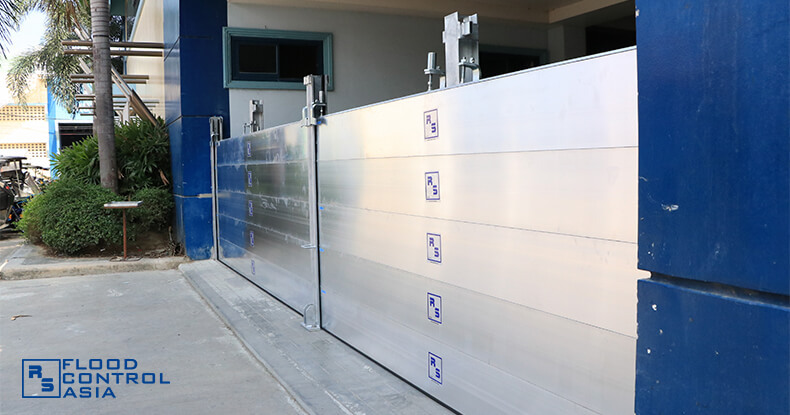 Like the lift-hinged floodgate, The Pivot-Hinged Barrier can be designed with different modes of operation: manual, gas-lifted, semi-automatic, and fully automatic. Why are Pivot-Hinged Barriers called ‘quick solution for flooding’? It is surely a quick solution to flooding and other industrial hazards. In case of combustion, firefighters can douse an entire building without worrying that water might spill on safe areas and soil raw materials. 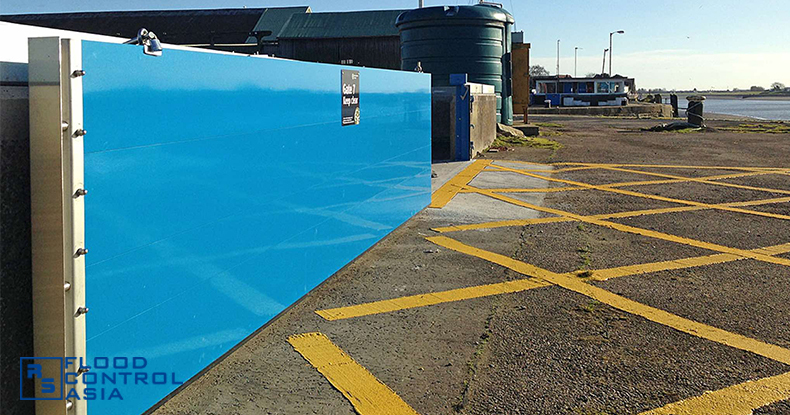 The Pivot-Hinged Barriers can do the job of sealing the entire doused area. They can also work as domestic floodgates. They resemble the lift-hinged floodgates, as they are also lightweight and easy to manipulate. Watch this video and see how Pivot-Hinged Barriers work! A springing motion makes the opening or closing of Pivot-Hinged Barriers easier than expected. Even a single person can lift or bring down a Pivot-Hinged Barrier in spite of its considerable length (maximum length 6.50 meters and width of 600 millimeters). 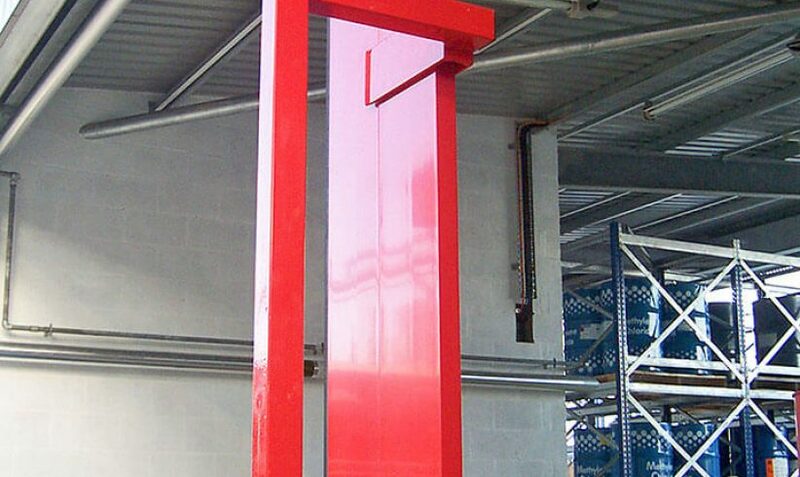 These Pivot-Hinged Barriers are made of high-grade steel and can be powder-coated, making them resistant to all sorts of abrasive compounds. They can be used as floodgates for industries where chemical spills are always a threat. They can also be used as domestic floodgates, since they enable quick solution to flooding. They can be used to contain not only chemical spills, but also waterflow caused by firefighting operations. How do you know if you need Pivot-Hinged Barriers? You need Pivot-Hinged Barriers (containment barrier) if you have a big warehouse where spills of chemicals are a common threat. If you don’t have such a building, you still need a containment barrier if you want to protect your establishment from flooding. 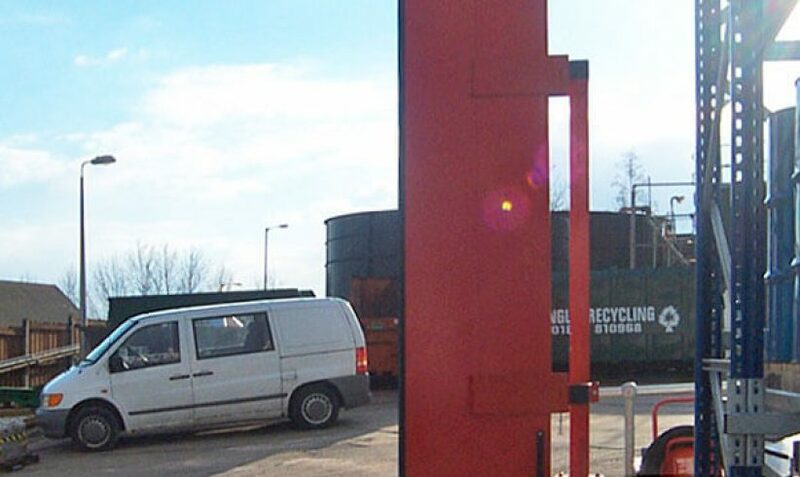 Why is the Pivot-Hinged Barrier called a ‘Quick Response to and a Quick Solution for Flooding’? It’s designed for emergency situations; a single person can manipulate the whole containment barrier in spite of its considerable weight. The spring mechanism that makes the barrier “pivot” on its side channel allows easy manipulation. Is there an alternative to manual operation of Pivot-Hinged Barrier? Pivot-Hinged Barriers can be electronically operated. They can be equipped with sensors that can detect the onset of flooding or chemical spills. They operate safely, as they do not need actual manpower on the site. How can we prove the durability of these Pivot-Hinged Barriers? 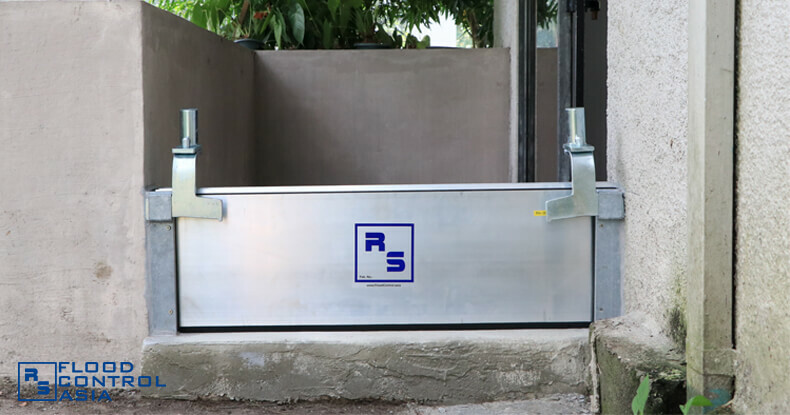 Like all other RS products, the Pivot-Hinged Barriers have been tested and approved by FM Global, one of the world’s most renowned accreditor of risk prevention systems. Also, these containment barriers have a lifespan of 50 years. Where can the Pivot-Hinged Barriers be installed? They are best for big industrial sites where chemical spills are always a threat. They will also work best in preventing flooding incidents due to fire fighting activities.